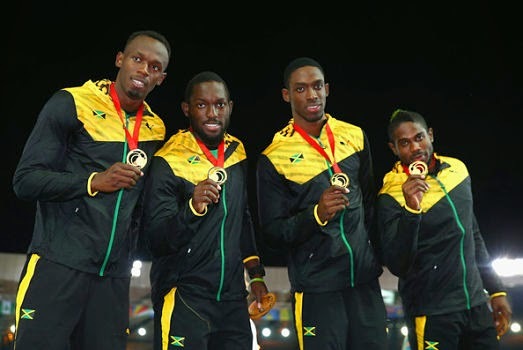 WINNING SPIRIT: Team Jamaica's wonder men and women left no doubt in the minds of spectators everywhere as to why we still rank as the sprint capital of the world (and a quiet force to be reckoned with in the field evens too) at the just-concluded Commonwealth Games in Glasgow, Scotland. The athletes departed the championships with an impressive 22 medals and a blaze of golden glory in the Men and Women's 4X100M relays, whose video clips are being replayed online ad nauseam. Here's hoping we transfer this formidable spirit of track-and-field excellence to the 2015 World Champs, where the gold rush will continue in earnest. 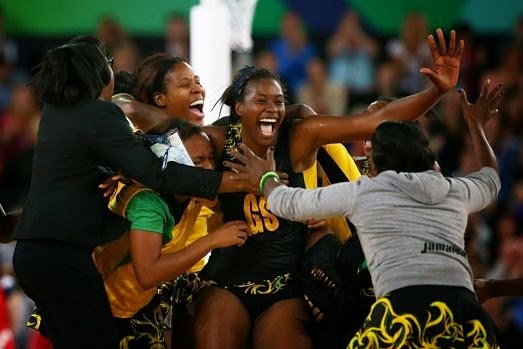 TO THE FINISH: True to their word, Jamaica's senior netballers — the Sunshine Girls — secured a medal for the country at the recent Commonwealth Games, triumphing over their English counterparts in the keenly contested bronze-medal playoff. This photo (taken by UK-based photographer Hannah Peters) speaks volumes of the unsurprisingly jubilant celebration that ensued. For these talented girls, the victory will go a long way in not only keeping team morale on a high but also boost their profile internationally as the world's top teams now turn their attention to upcoming test series and the next world championships. FACING THE MUSIC: Great collaborations can happen anywhere. 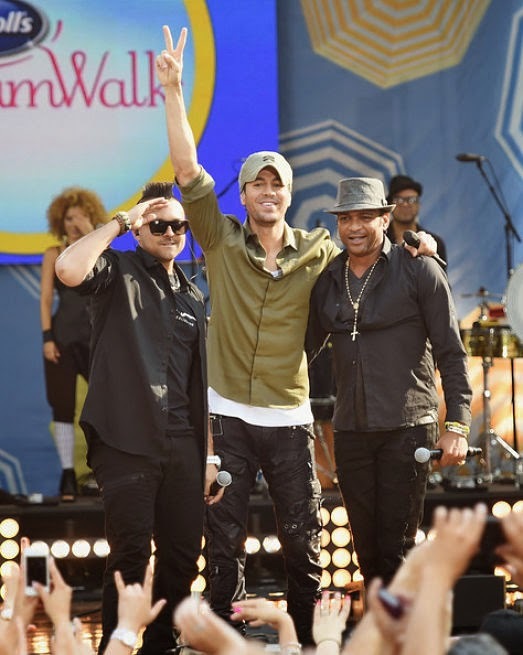 A couple of weeks after raising the temperature in MoBay at Reggae Sumfest, Sean Paul (left) rocked out with Latin heartthrob Enrique Iglesias and Descember Bueno on Emancipation Day as BC's Good Morning America brought summer concert madness to Rumsey Playfield in New York's Central Park. WHAT COMES NATURALLY: Though there more than a few quibbles from demanding patrons over the degree of produce and livestock diversity on view at this year's showcase the 2014 iteration of the Denbigh Agricultural Show & Farmer's Market was a resounding success over the Emancipation Day weekend, buoyed by solid crowd support and non-stop lively entertainment for the whole family. 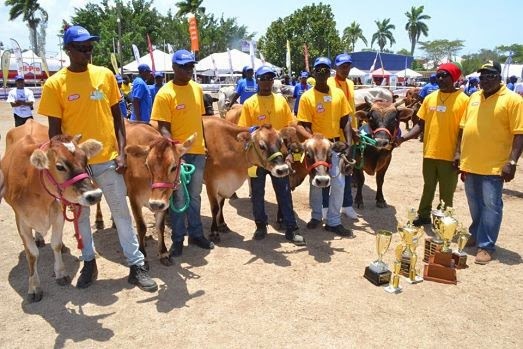 The Jamaica Agriculture Society (JAS), with the aid of corporate sponsors, continue to impressively maintain the event's appeal and proud legacy, heading into a seventh decade of championing the best of what we grow and eat here at home. JAMAICAN JUBILEE: The Independence Village in honour of Jamaica 52 at the Ranny Williams Entertainment Centre was a culture lover's haven this past week, offering a fantastic, hugely entertaining mix of events celebrating the culture in all its guises. 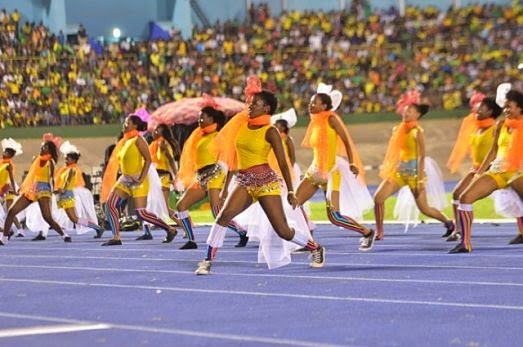 To give credit where its due, the culture ministry pulled off a stellar job this season, climaxing with a spectacular Grand Gala bash at the National Stadium on Wednesday (more on that to come), which only makes us intrigued to see what the hardworking team (led by Minister Lisa Hanna and creative genius Dahlia Harris) will come up with for next year.